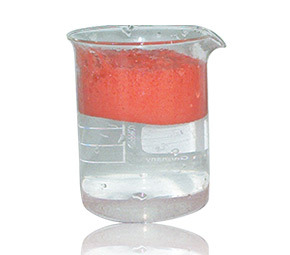 Coagulants are for the self-cleaning of the circulating water in paint booths. The dosage is carried out in an area of high turbulence (e.g. near re-circulation pump) for good mixing and improvement in coagulation and flotation. Flocculants, effective in clarifying industrial wastewater and used in thickening, sedimentation and floating process of organic & inorganic sludge. They increase speed of flotation, improve clarification and increase dehydration of sludge. Antifoam Agents, non-silicon type based on fatty/ polyglycol acid ester oil. Used in all processes where compact foam formation occurs. Bactericides are formulated to be applied to fermentable aqueous effluents that produce bad smell during transfer and/or aeration. They cover up very effectively the residual odours.